KNAC.COM - News - AC/DC Pinball Rocks! 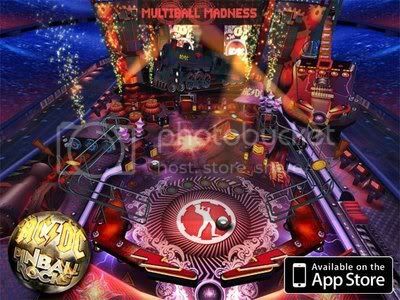 The AC/DC Pinball Rocks app is now available for iPhone and iPad. Includes classic AC/DC hits, original voice recordings from Brian Johnson, guitar-shredding mini-games and a hyper-realistic pinball environment featuring AC/DC's most iconic set pieces. Available today in the App Store for iPhone and iPad at this location. In other news, Brian Johnson plans to raise $1,000,000 for pediatric cancer. Brian's new "Highway To Help" TEXT To Give Campaign will be raising money through texting and the internet. During the 24 hours of the 50th running of the Rolex 24 Hours Of Daytona (January 28th, 3:30 PM to January 29th, 3:30 PM), Brian will be raising funds to provide services to families affected by pediatric cancer.